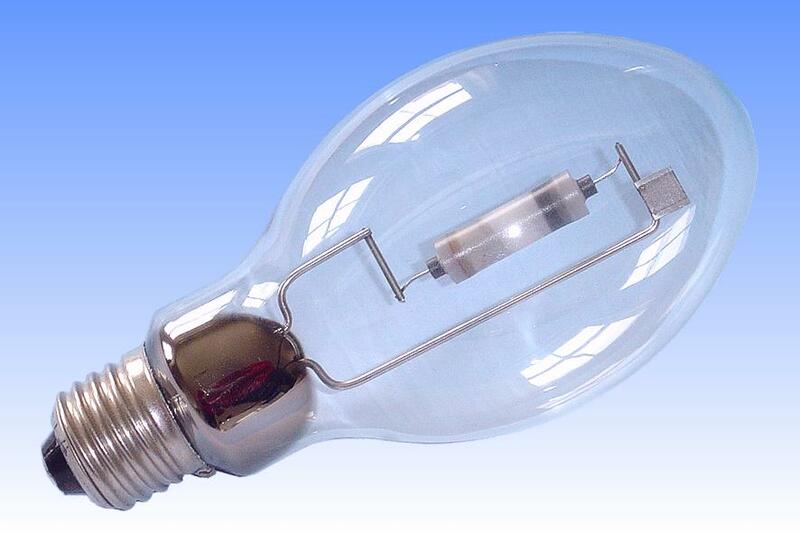 The ceramic metal halide lamp which is so popular today has actually been in existence many years longer than its place on the market would suggest. Developments on the technology started with Thorn Lighting's CMH project in the early 1970's, and in 1981 the company was ready to present the technologyand came very close to marketing this lamp. The company's stand at the 1981 Hanover World Light Show was illuminated with this lamp and it was expected that it would become available later that year. Unfortunately the lamp was never to be seen again after that time. The company's reason was that this design had a very high arc tube voltage, roughly double that of other HID lamps, and there was no control gear available for it. In addition, owing to the small voltage drop across the ballast for this lamp, when operated on the 240V mains supply, the system was rather inefficient despite the good performance of the lamp itself. The company therefore decided to suspend a market launch until a lamp could be developed which operated on conventional ballasts. The lamp shown here is one of the low voltage types that was subsequently developed, suitable for operation on a standard 70W high pressure sodium ballast. It proved difficult however, to reliably make such a low voltage lamp of this kind, owing to the large dead space that was necessary behind the electrodes to keep the frit seal cold enough. 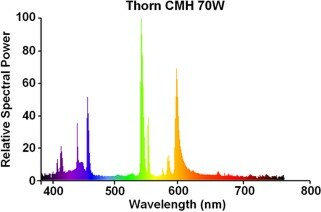 That resulted in a rather low halide vapour pressure for this lower voltage lamp and both the luminous efficacy and colour rendering properties suffered by comparison with the 200V version. All development on Thorn's pioneering CMH project was axed at the time when GE bought the company. References: 1) Tin Sodium Halide Lamps in Ceramic Envelopes, Brown K.E, Chalmers A.G, Wharmby D.O., Journal of IES (January 1982) p106-114. 2) Properties of Sodium Tin Halide-Mercury Discharges, Whittaker F.L., Journal of IES.